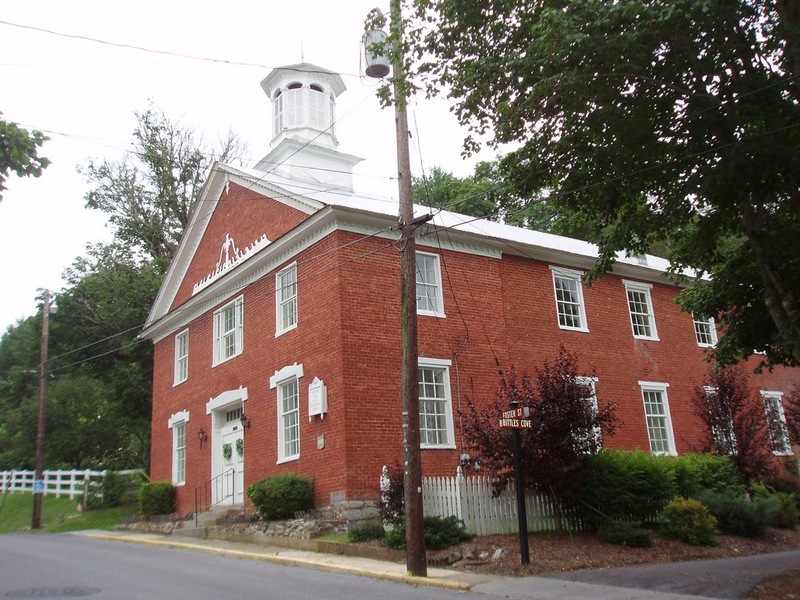 Also known as the First Methodist Church, the John Wesley Methodist Church in Lewisburg, West Virginia is one of the oldest brick churches in the state. Construction began on what is now E. Foster Street in 1820 under the direction of John Weir. Major renovations were undertaken by notable mason and architect John Dunn in 1835, giving the church a new vestibule, indoor staircase, and office space. Unfortunately, between the time when the church was originally built and when it was renovated, there was a tragic death involving a young girl who was a member of the congregation. Although the cause of death is not given, local legend states that visitors to the church have noticed the little girl, about ten years old, seemingly FLOATING high above the ground, her braids and dress flapping in the breeze. The reason the child appears to be floating is that when she was alive, the staircase to the upper slave balcony of the church was located outside the building. The 1835 renovations, which included an indoor staircase, made the outdoor one obsolete and it was eventually removed. In life, it was said that the young girl enjoyed sitting on the top stair, bouncing her ball as she looked down. It is this phantom sound of her bouncing ball that draws the witness' eyes up to the young girl seemingly suspended in mid-air, waiting on a staircase that has been gone for over 100 years. The death of a young church member wouldn't be the only tragedy the church would face in its history...and it wouldn't even be the only tragedy that would result in paranormal activity! Prior to the Civil War, the Methodist Church was split on a national level over the issue of slavery. The congregation of the Methodist Episcopal Church remained in the building, while the Methodist Episcopal Church South faction moved into a new facility across the town. The two factions would eventually reunited after the war, building a new church. According to information from the National Register of Historic Places, the John Wesley building was then given or sold to the freed Blacks who were once relegated to only worshiping in its upper balcony. However, before that happened, the John Wesley Methodist Church had to survive the war. During the Civil War, the church found itself literally in the middle of the May 23, 1862 Battle of Lewisburg. During the fighting, a cannonball struck the church, and the resulting damage can still be seen today. After the fighting had died down, the church was used as a makeshift hospital building for the wounded and dying soldiers on both sides. The second ghostly legend from this church involves a young soldier who was mortally wounded. For whatever reason, instead of receiving medical treatment inside the church, the young soldier was said to have crawled into some bushes on the side of the building, hiding from the enemy troops. He died before anyone found him and today, the energy of his tragic death seems to have left a lasting impression. The area on the side of the church is shrouded in an unearthly darkness...a darkness so deep that it seems to swallow up anyone who enters. Those who do enter, however, report overwhelming feelings of sadness and melancholy, almost as if they are feeling what the young soldier felt as he lay dying all alone.